Cleaning fluids, oils, antifreeze, perfumes, lotions, makeup and other chemicals can all be highly toxic to pets. In some cases, even contaminating a sensitive pet's skin can cause a dangerous reaction. Keep Pets Safe: Store all chemicals in tightly latched cupboards or similar safe areas out of pets' reach. Keep toilet lids down if chemicals are used in the bowl, and discard empty containers or contaminated tissues and cloths where pets can't reach them. Bug sprays, ant traps, snap traps and other rodent and pest control measures can be just as dangerous for pets as for insects and rodents. Even small traps can cause wounds that could get infected, and chemical pesticides can be fatal to pets. Keep Pets Safe: Only use pesticides in areas away from pets, including away from all feeding or drinking areas and dishes. Traps and baits should only be placed where they are absolutely out of reach of pets. 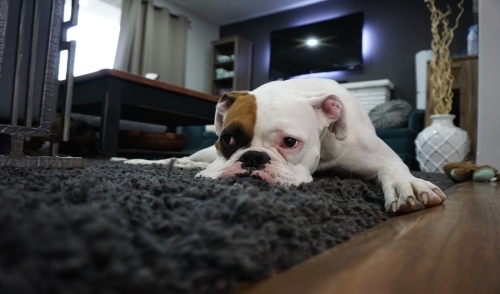 Small pets might fall down a floor heating duct or get a foot trapped in a grate, while all heating ducts or fireplace vents could concentrate fumes that are dangerous to pets. Close exposure to vents can also cause too much heating or cooling that can make pets uncomfortable. Keep Pets Safe: Never position a pet's bed, tank or cage near a vent, and inspect vents regularly for bending or warping that could trap an unwary paw or tail. If a fireplace is used, always supervise pets carefully to prevent the risk of fire. Many different pets may take a nibble at electrical cords, and they risk burns, electrocution and tangling in the cords. Whether the cords are from appliances, lights, holiday light strands or other sources, they are all potentially dangerous. Keep Pets Safe: Hide cords behind furniture or under rugs, or use sturdy cord covers or otherwise make electrical cords inaccessible to pets. Train pets to keep away from cords, and avoid playing with similar toys such as strings or ribbons that look like cords. Many beautiful houseplants are toxic to pets, sometimes even if the plant is simply licked or rubbed against. Pets that consume houseplants may become ill, and too much ingestion of plant oils can easily be fatal. Keep Pets Safe: Keep houseplants properly pruned so there are no loose leaves to fall and tempt pets, and position plant pots higher up on shelves, tables or mantles and out of pets' reach. Never allow pets to drink from plant pots or saucers. Some of our favorite foods – chocolates, candies, spices, etc. – are toxic to pets and can be dangerous if consumed. Many pets are adept at counter-surfing and will sneak snacks, and even small amounts of these foods can be hazardous. Keep Pets Safe: Keep all dishes and trays covered, and position them out of reach of pets. Be sure all children and guests know not to feed pets extra treats that may be dangerous. The fumes from using non-stick cookware, self-cleaning ovens or aerosol cleaners can be toxic to pets, especially birds. These fumes may not be noticeable to humans, but small pets have much more sensitivity to the buildup of dangerous fumes. Keep Pets Safe: Avoid keeping birds in or near a kitchen, and use a stove vent when cooking or cleaning to keep air circulating. Open a window if possible for much better ventilation and safety. Many pills for humans can look similar to pet medication, but they are highly toxic to pets and not suitable for animals' metabolism or body size. 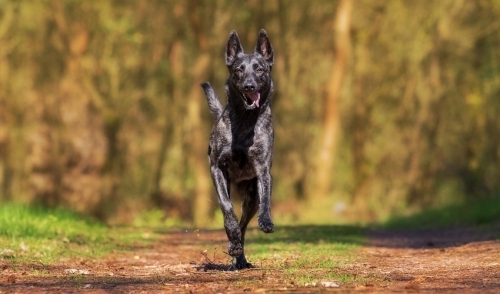 Inadvertently ingesting human medication can quickly be deadly for pets. Keep Pets Safe: Keep all medications in tightly sealed containers, and keep those containers well out of reach of pets. Do not store pet medications near human medications where the two might be confused. Fun, colorful decorations like light strings, tinsel, ornaments, Easter grass, plastic eggs, bows, ribbons and confetti can be dangerous to pets. If pets chew on the items, they can be cut by sharp edges, or their stomachs and intestines can be clogged by indigestible items. Keep Pets Safe: Keep all decorations out of reach of pets, using pet gates, closed doors or other barriers to keep pets out of decorated rooms. Always supervise pets when they are near decorations, and consider pet-friendly decorating alternatives. Any small bits and bobs, such as toy parts, game pieces, batteries, buttons, safety pins, rubber bands or other materials can be intriguing to pets, but are dangerous if ingested or chewed. Pets are naturally curious, but these items are hazardous to that curiosity. Keep Pets Safe: Clean up small items and pieces quickly, and store them in places out of pets' reach, preferably in covered containers so they do not spill. Keep rooms as neat as possible so small items are quickly found, before they are a risk to pets. With so many common items posing risks to pets, it may seem impossible to stay safe, but with common sense and a few easy steps, any pet owner can give their pet a safe and happy home.